Two weekends ago, Ethne and I were together and we were busy preparing for the MOST ADORABLE baby shower ever. The Pokey Puppy themed shower. I promise to show photos of the entire spread, but I have one more tutorial for you. 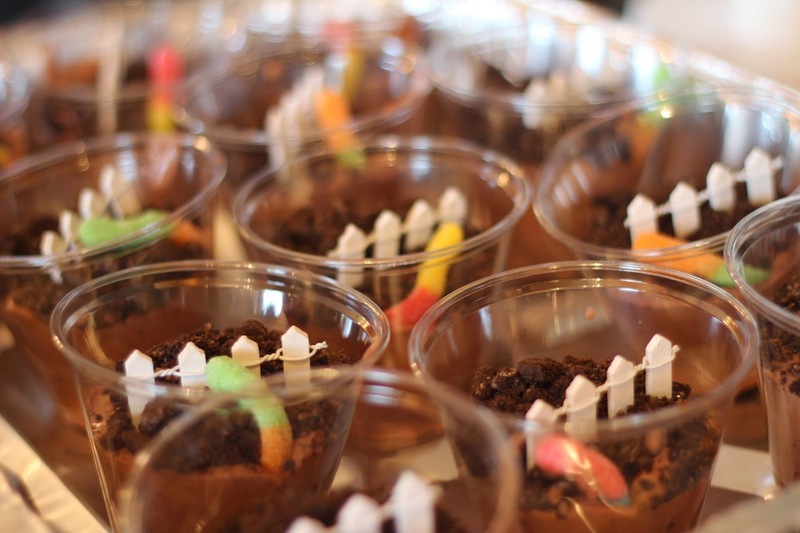 Dirt cups are perfect (complete with mini fences of course). 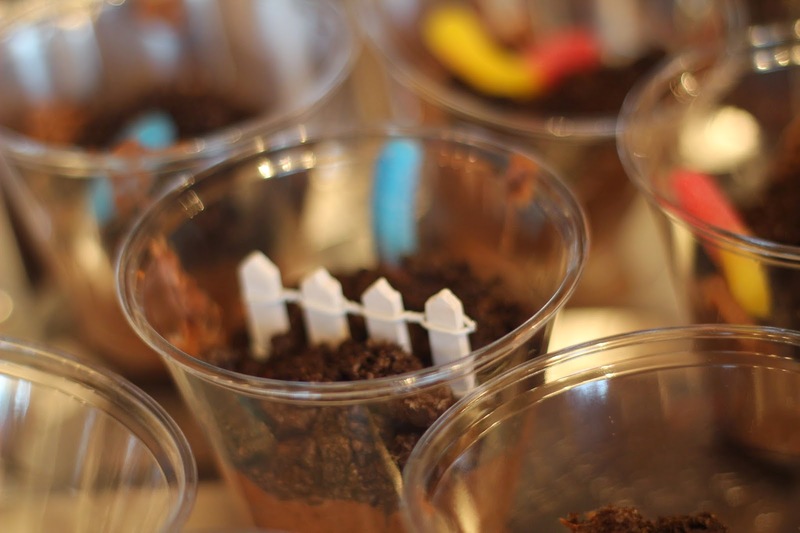 Making dirt cups is SUPER EASY! The supplies needed are: chocolate pudding, cold milk, Oreo cookies, whipped cream, and worms. 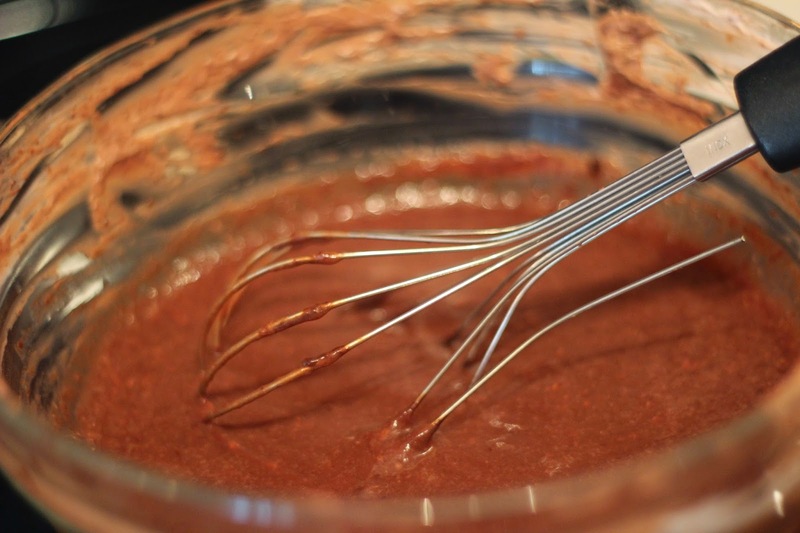 Combine the pudding with the milk and let is set (around 5 minutes if you use the instant pudding). Follow the portion size recommended for the milk. Stir in one container of whipped cream and roughly 1 cup of crushed Oreo cookies. 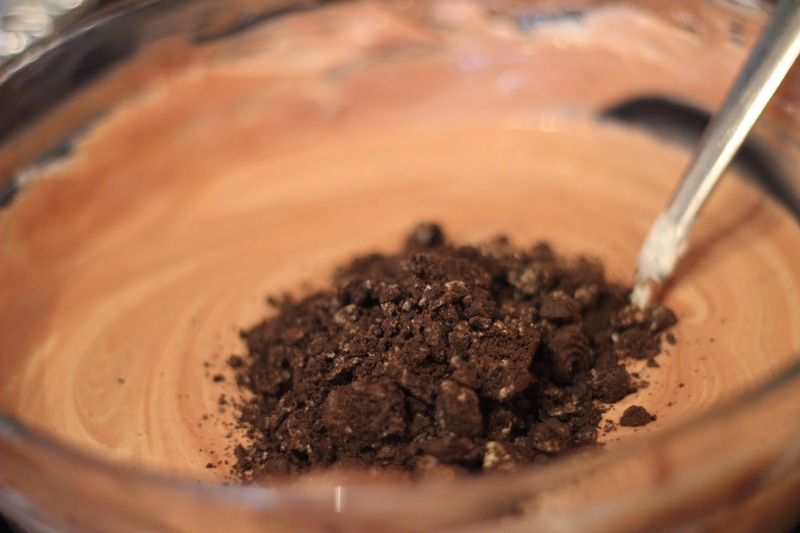 You will use roughly 15 cookies/batch of dirt cups. 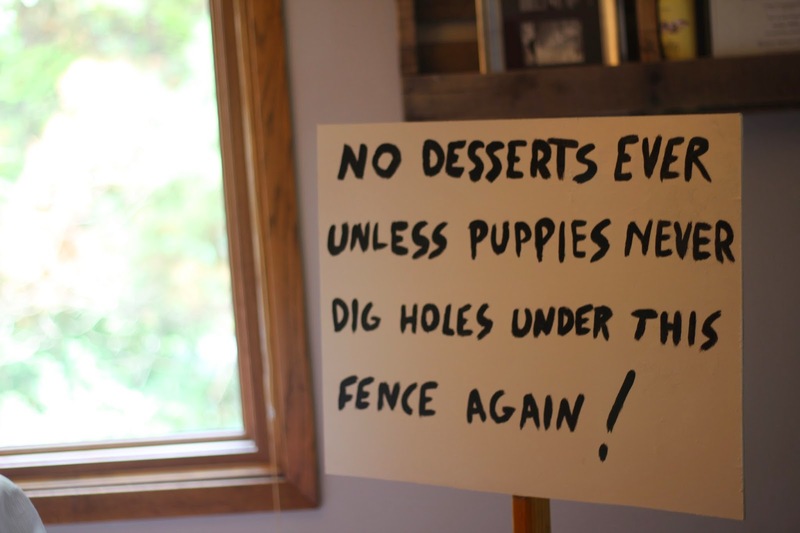 Of course, this would not be complete without mini fences. At first I thought I would make my own, but when I found them at Joanne's fabric (plus a 40% off coupon), it was easier to purchase them. Ethne did the cutting. We ended up doing four slats/cup. All that's left is to fill the cups with the pudding, add the remaining crushed Oreo cookies to the tops and insert your fence and worms.